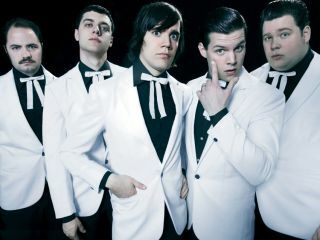 Swedish rockers The Hives are set to be sued for alleged plagiarism by Los Angeles-based songwriter Jason Shapiro. Shapiro claims that Tick Tick Boom uses a vocal melody and riff from his song. He also consulted a musicologist before deciding to sue. "He [the musicologist] said the part in question - the main riff and vocal melody - was very similar and its uniqueness led him to believe it wasn't just a coincidence," he told the LA Times. "He also runs it through a background test seeing if any charts from previous songs are close and we were clear on that front." Shapiro added: "I absolutely love The Hives and don't feel great about suing a band I love. But I also feel credit is due where it is due if you borrow a riff." Jason Shapiro And The Roofies - Why You? Of course, songs sounding the same is not a new phenomena. But is the case of Tick Tick Boom ready to explode in court?